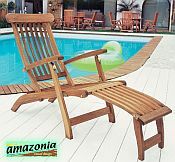 The elegant Arpoador Steamer Lounger will make a truly elegant addition to any outdoor patio furniture set. 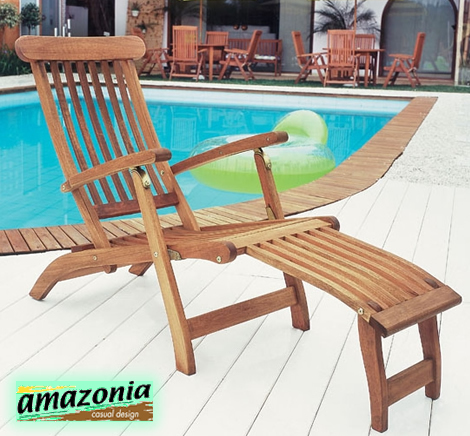 This Outdoor Steamer Chair makes a luxuriously inviting spot for basking in the sun or relaxing after an invigorating swim. 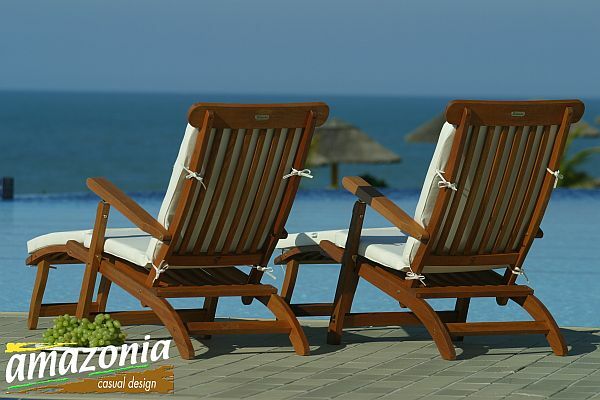 An adjustable back and leg support makes the Arpoador Lounger functional and comfortable. Some assembly is required. Cushions are not included. 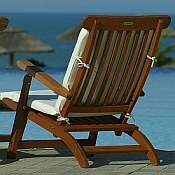 The Arpoador Steamer Lounger is constructed from durable Eucalyptus wood and stainless steel hardware. Eucalyptus wood is easy to maintain and is naturally resistant to rot and insect infestation. Additionally, each piece is finished with Polisten, a Brazilian product that provides even more protection against the damages of moisture and insects, extending the life of the furniture. The wood used to make this handsome outdoor furniture is certified through the FSC (Forest Stewardship Council). The Forest Stewardship Council (FSC) "is a non-profit organization devoted to encouraging the responsible management of the world�s forests. FSC sets high standards that ensure forestry is practiced in an environmentally responsible, socially beneficial, and economically viable way." Please view the following information about Maintaining Outdoor Wood Furniture.